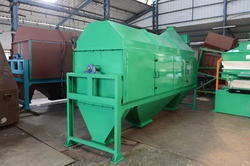 The material to be screened is fed through the inlet channel to the inside of the screening drum and rotated over. The grain drops through the screen perforations, and the coarse impurities are directed to the outlet by aguide screw. This ensues reliable separation of the coarse impurities. 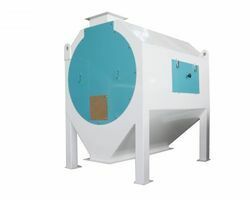 Driven by technically advanced facilities at ultra-modern infrastructure, we are presenting an extensive array of Drum Sieves Machine.